Inexpensive, healthy, and tasty, I call it Jiu Jitsu Vegetable Soup. 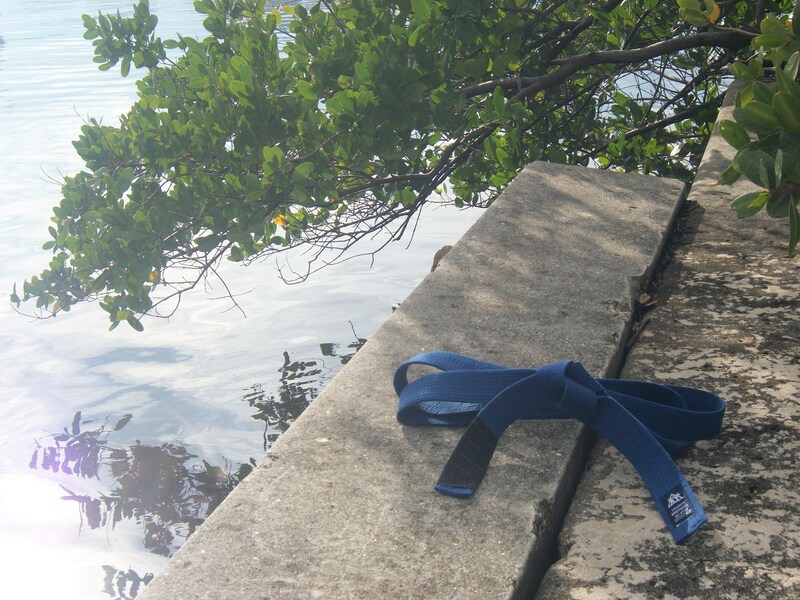 From start to finish, Jiu Jitsu Soup takes less than twenty minutes to prepare. In addition to the soups outstanding nutritional value, it has a lot of anti cancer properties; as well as, aiding in weight loss. The first step is to peel all the veggies with the side of a knife blade and then chop the carrot, celery stock, green onion, and the sweet potato. 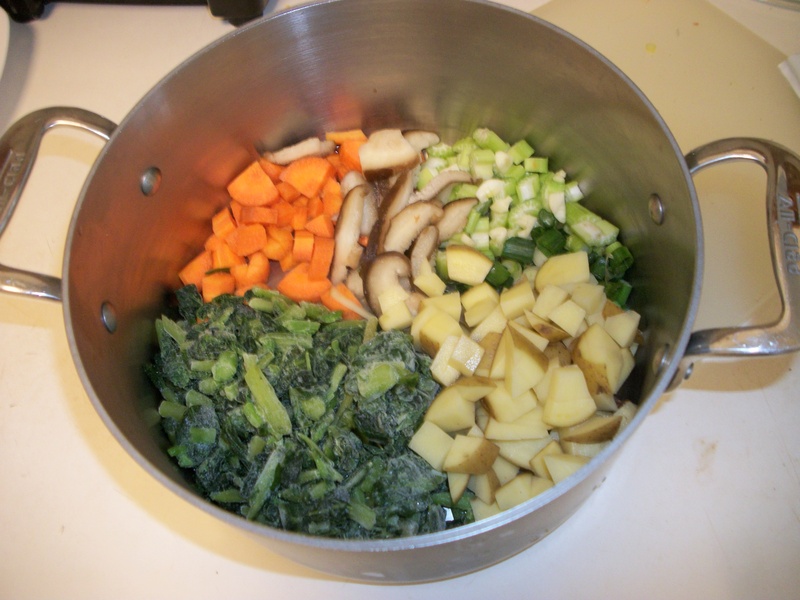 Place all the vegetables in a large pot along with the shiitake mushrooms. Pour in 2 cups of frozen peas. * You could substitute another frozen vegetable if you like. Add the dehydrated seaweed. Add three cups of water and bring to a boil. Once the soup is boiling, turn off stove. Note, I try to minimally cook the vegetables. Add the miso paste right after the water stops boiling since boiling the miso paste isn’t good for it. Add tofu for protein. Let the soup sit for five minutes with the top on. The miso should look like clouds in the water. Serve. 2 cups of frozen organic vegetables, peas, lima beans, or brocoli. Your choice. 2 tablespoons of miso paste. 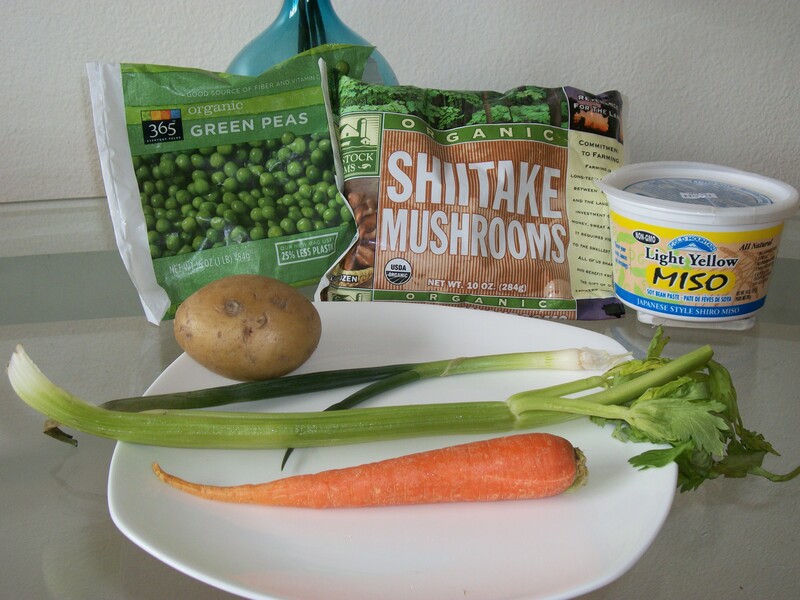 Miso paste can be found at Wholefoods for $5 a tub found in the dairy section. Cold Mountain. 1 table-spoon of hydrated sea weed. 1 oz of tofu cubes. I try to eat this soup everyday. To keep it from get boring, switch up the frozen vegetables. You can add garlic or other spices. 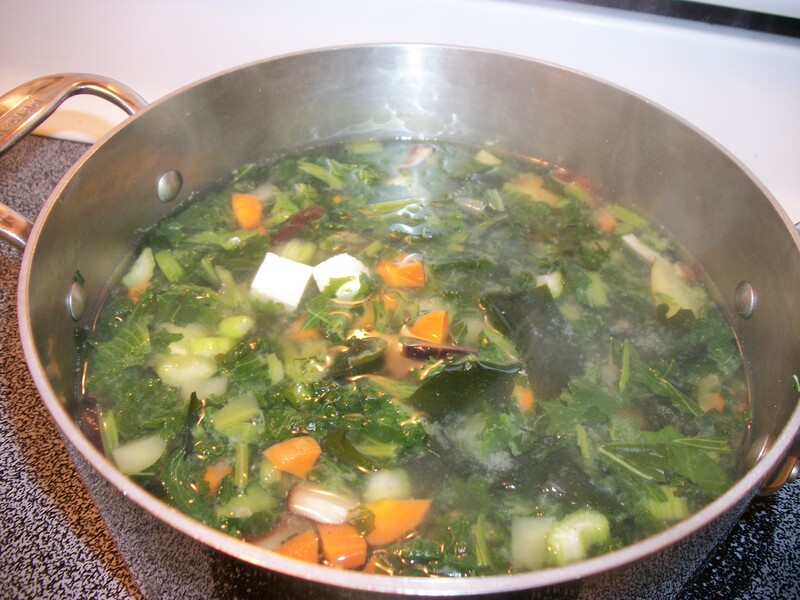 My intention was to try to consume five servings of vegetables with this soup everyday.